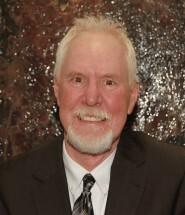 Jim is a trial lawyer who has practiced law in Grand Junction and Western Colorado for more than 25 years. He graduated from Northwestern School of Law, Lewis and Clark College in 1987, and began practicing in Grand Junction in 1988. Jim has practiced continuously since that time, gaining a wealth of experience in the courtroom, and a reputation of quality and effective legal work. He provides personal attention to each of his cases, protects the rights of his clients, and successfully navigates his cases to a proper resolution. As a long time resident of the Grand Valley, Jim is an active participant in the community. He currently serves as President of the Grand Junction Downtown Lion's Club, served as President of the Mesa County Pro Bono Project, and assisted in area youth sports. When he isn't practicing law he enjoys spending time in the outdoors of Western Colorado. Jim is superb with the fly rod, enjoys hunting, remains active by playing racquetball, and loves to ski.